The SAK pliers are kinda the weak point of the knife... The locking blade (bigger handle) SAK knives don't work for me but YMMV. 100% agree about in-line screwdrivers. If the knife "works out" you might consider an after market glasses screwdriver that threads into the corkscrew for a couple bucks. Also check if there's a pinhole by the corkscrew to store a pin in the grip. Mine came with both, found the pin by accident. The size of this beast might not work for me, either, but it's not as bulky as I was expecting. 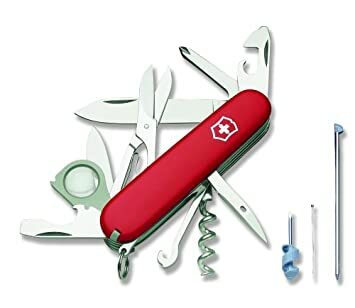 I wish Victorinox would come up with a system where you could build your own SAK, customizing it with only the tools you need in the smallest possible form factor. I'd probably pay twice for that luxury. No kidding. And with the modularity (you can watch them be hand built at trade shows) you'd think you could even customize the order of the tools. And with the modularity (you can watch them be hand built at trade shows) you'd think you could even customize the order of the tools. Exactly. I can visualize an online app that lets you mix and match the various components until you get it just the way you want it. It's bigger than the standard SAK, but it feels better in the hand and is less bulky than the Leathermans, although the pliers aren't that awe inspiring. Crap, after comparing head to head, my assumption of less bulky was totally wrong. The Leatherman Wave is shorter and flatter than the Hercules, but weighs about 1.5 oz more, maybe that's what led me astray. Doesn't bode well for EDC. Bummer. I was keen to hear your thoughts. I'm still looking for the ideal easy carrying multitool. I got an Explorer Plus model, too. More because I realized I don't have any standard-sized SAKs and figured I should have one for comparison. It's not as fat as a SwissChamp, but still almost as thick as the Hercules, albeit half the weight. If I could get rid of the Cracker Jack lens, the small blade and that hook thingy, it might be pretty close to perfect. Maybe if I look a little closer I can find something like that. I discovered that the inline Phillips is only paired with the magnifier or the led light in the regular size (91mm) and the pliers in the big lock blade size (111mm). And the Hercules is the only model with two inline Phillips. It's looking like the sweet spot for me may still be the small (58mm) Rambler on my keychain. With scissors and inline Phillips and flat drivers, it's hard to beat for portability. I agree about the worthless magnifier. Why not pair 2 sizes of phillips? The "hook thing" puzzled me at first because Swiss Army describes it as a parcel carrier which would be useful if I were a paperboy in 1893... In reality it functions as a tool to tug on stuck boot laces and turn wire ties tight. I gotta admit that would be awesome. One stop shop for everything practical. Would I miss the saw, fish scaler, and wimpy pliers? Not hardly. Wonder what the minimum order number would be for a special run of SAKs with those specs? I just emailed asking. 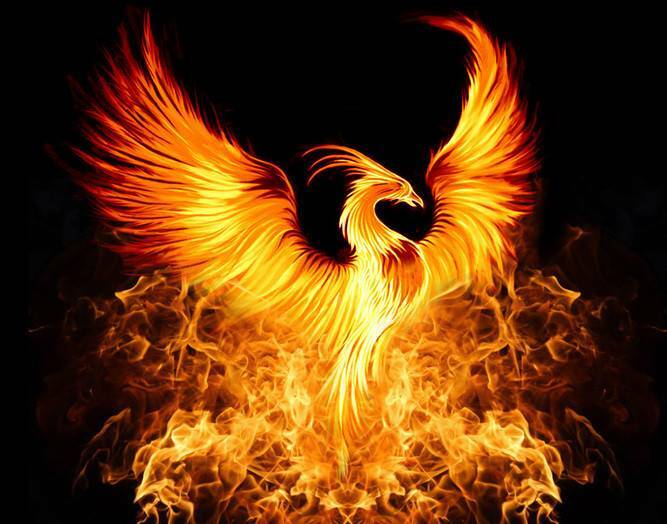 Let's not get our hopes up but maybe we can start a fire. Victorinox has a flagship store at the Mall of America (near me) and maybe with some pressure they would do a limited run. Seems possible..? If nothing else I'm providing feedback. Maybe we could get enough folks around here to agree on the design and get an order in. Cool. I'd be up for two or three. Playing with the bigger blade on the Hercules has me loving its utility for food prep. There's something reassuring about a locked blade when you're trying to stab off a piece of crusty bread or cheese. The Outsider is a layer short of the Hercules, minus the pliers and short Phillips, which brings it down from 5 layers to 4. If Victorinox could delete the saw blade off the Outrider, leaving just three layers, consisting of the blade, scissors, long phillips, et al., I'd be happy camper. The length doesn't bother me as much as the width. Maybe the Super Tinker SAK is closer to your needs. Link to illustrate product. The lack of an inline Phillips is a deal breaker, for me, at least. I'd take the Explorer over any Tinker model. I got a Super Tinker for my wife, she's pretty happy with it. I went and ordered an Outsider for myself, I don't have any of the locking SAKs and figured I'd give it a try. 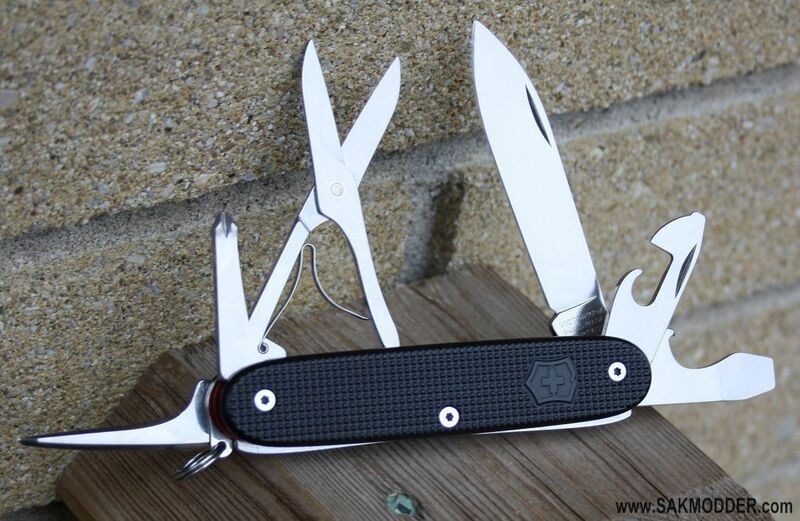 Still waiting to hear back from Victorinox about what it would take to build a new design. I hope they take me seriously. We'll see. Got my Outrider today (delivered via Japan, best deal I could find). I gotta say I feel it's a step in the wrong direction for me. I like the tools on it but it's clunky like a Leatherman. And the blade is nothing short of being a scimitar. I'd rather a short blade with an aggressive tanto edge for hard work. I guess there's some personal preference there. It's not bad all in all and I wouldn't feel underpowered carrying it in the wild. It's got my SAK biggies: tweezers, corkscrew, scissors. Will it beat my beloved Camper for travel? No. Will it beat the Super Tinker in the diaper bag? No. Will it beat the Swisschamp for around the house/cabin? Maybe... And that actually says a lot. Jury's still out. I'm not hearing anything from Victorinox over a custom knife. I'd like to get close to the "easy carry optimized SAK" that we've hit on here (seems like there's solid agreement on good features) but I don't know how to push further. hmm, i looked up how to disassemble/repair/replace blades in a sak, not to hard to do. How easy would it be remove a layer of unwanted tools, shorten the posts and press everything back together? It's all pressure fit so pretty easy. It might be easier to buy 2 and sub out the unwanted junk to get one knife of the original size with only the useful tools on it. I'll try to get some used ahd tinker when I get some time. Not quite ready to rip apart the Swisschamp. Reminds me of the guys who rebuild the old Buck 110s into switchblades. This one has hard anodized alox scales and liners, thicker torx pins, and rearranged tools. Look how he fit both the can and bottle openers opposite the inline phillips in the same layer.